Congratulations-you are getting married! 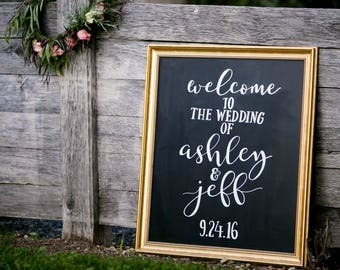 If you have just chosen your menu, which means you have had the tastings, you have mulled over this decision, and have finally picked out the perfect menu....why not display it proudly at your reception with a personalized hand painted menu sign? 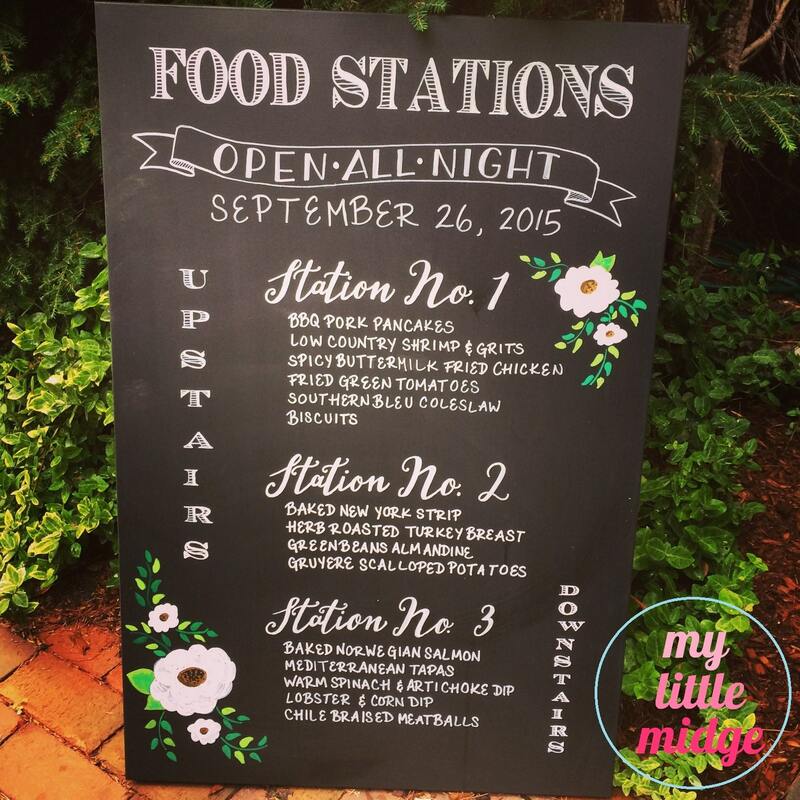 Your guests will be able to clearly view the menu in a custom sign that is designed to seamlessly fit in with your wedding decor. Do you have a specific idea in mind? 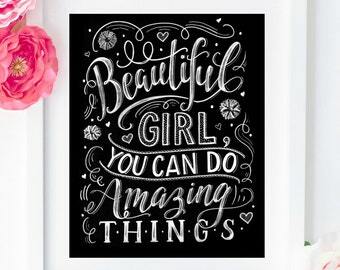 Each piece is 100% customizable-fonts, layout, graphics, embellishments, colors-YOU CHOOSE. 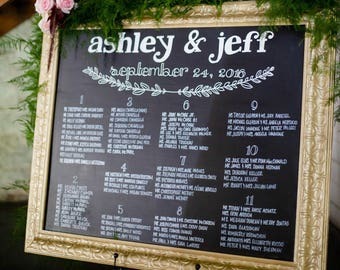 I will work with you to create a menu that will blend seamlessly into your decor. Looking for a different size? Send me a conversation via Etsy and I will create a custom listing for you with an adjusted price. 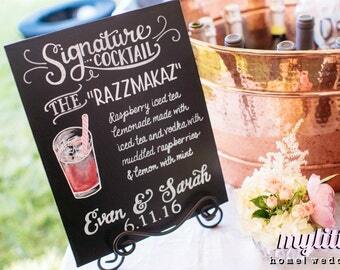 Do you have your own chalkboard? 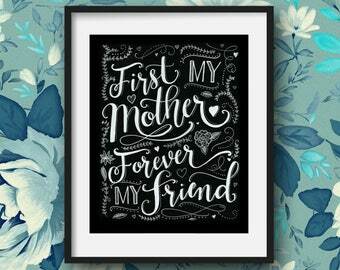 Send it to me, and I will add my artwork to it-price varies depending on size, convo me for more information. (Please note that the chalkboard in the listing picture is the 24"x36" size that comes with the listing).